From the countryside to the main streets of a big city, cowboy boots are practical and stylish. Both men and women alike can wear their cowboy boots with anything, from a tuxedo to jeans and skirts. At Country Square Western Wear, we can help you decide which cowboy boots are best for you. 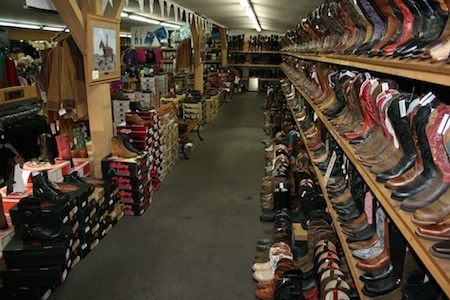 We offer a huge selection of cowboy boots in many different sizes and styles for Kent customers. Cowgirl boots are a hot trend among Kent women and girls right now. Our hot pink cowgirl boots have a unique look that will definitely make you stand out from the crowd! Cowgirl boots will help you create your own look – and with a huge range of choices, we can always find a pair of cowgirl boots that’s just right for you. 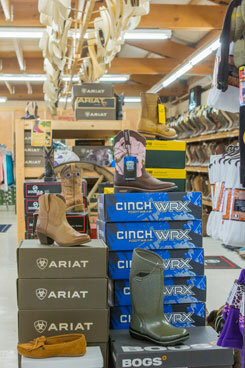 We have a huge collection of western boots in many different colors and materials. Our traditional western boots with a pointed toe are both iconic and stylish. Western boots are all about your personality and creating your own style. 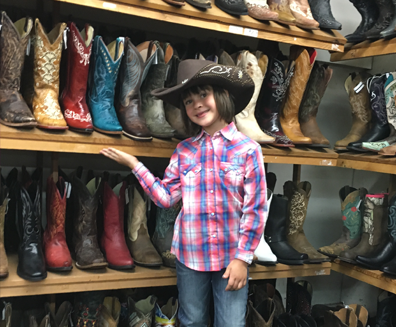 If you’re looking for western boots, cowboy boots or cowgirl boots in Kent, WA or the surrounding area, visit Country Square Western Wear today! Or give us a call at 253-220-7674 to find out more.